Facebook is a vital communication channel for most companies nowadays. 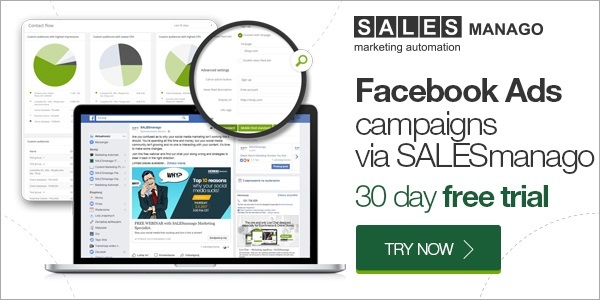 SALESmanago and Facebook Ads integration combines the power of social media and Marketing Automation. That opens new possibilities such as using behavioural and transactional data to target ad campaigns, educate potential customers or promote products and services they are most interested in. 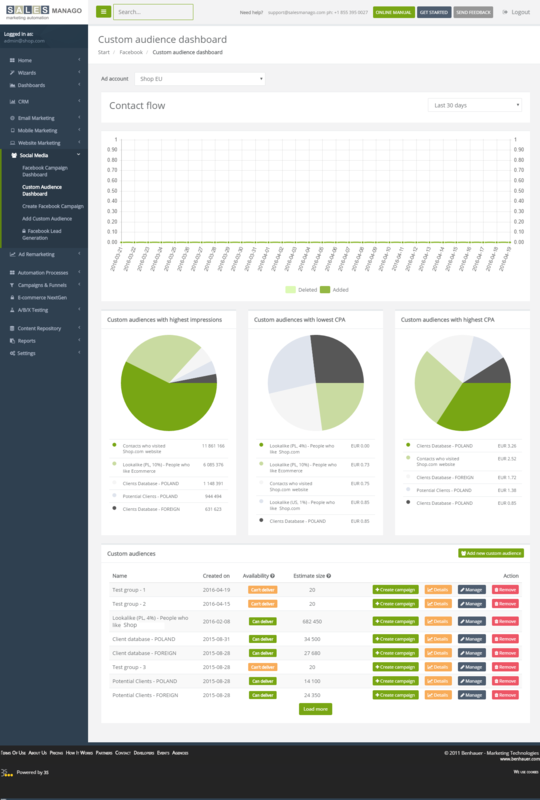 Unique SALESmanago Marketing Automation features allow you create and manage Ads, Facebook Custom Audiences, optimize and analyse effects of campaigns directly from our panel. 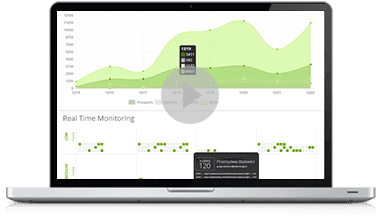 Combining Facebook Ads analytics with SALESmanago Analytical Dashboards you can research data from different channels to optimize communication in all marketing channels. Then you can see ad preview in desktop feed, mobile feed and right column standard. At the end you just have to press the activation button. 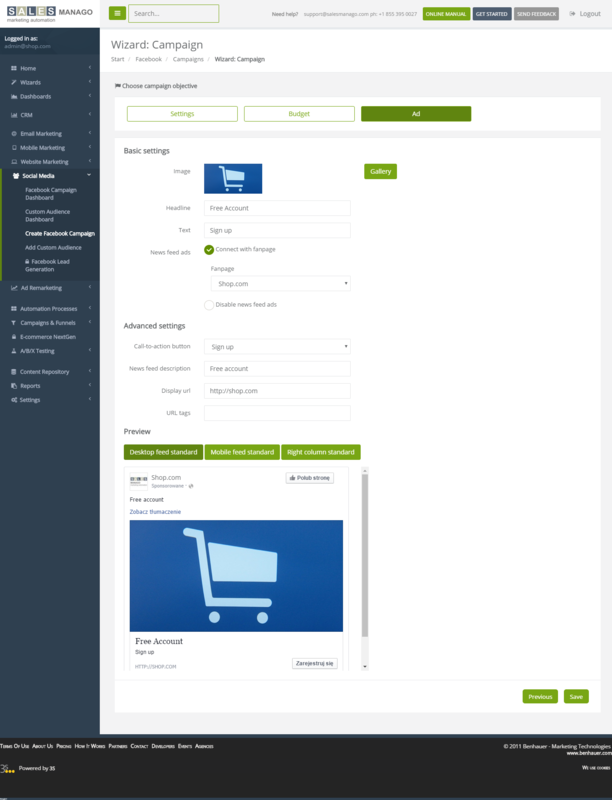 In the result, you can address an ad to people who viewed a given product, abandoned shopping cart, are on a specific stage of the marketing or sales campaign, or to another precisely defined group. 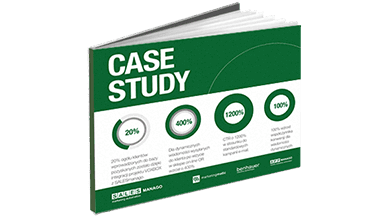 When you target your ads with such precision by means of Marketing Automation tools, you get much better results, because messages are really relevant to the recipients. That way you not only get more control over social media marketing, but can also optimize your efforts in the channel. 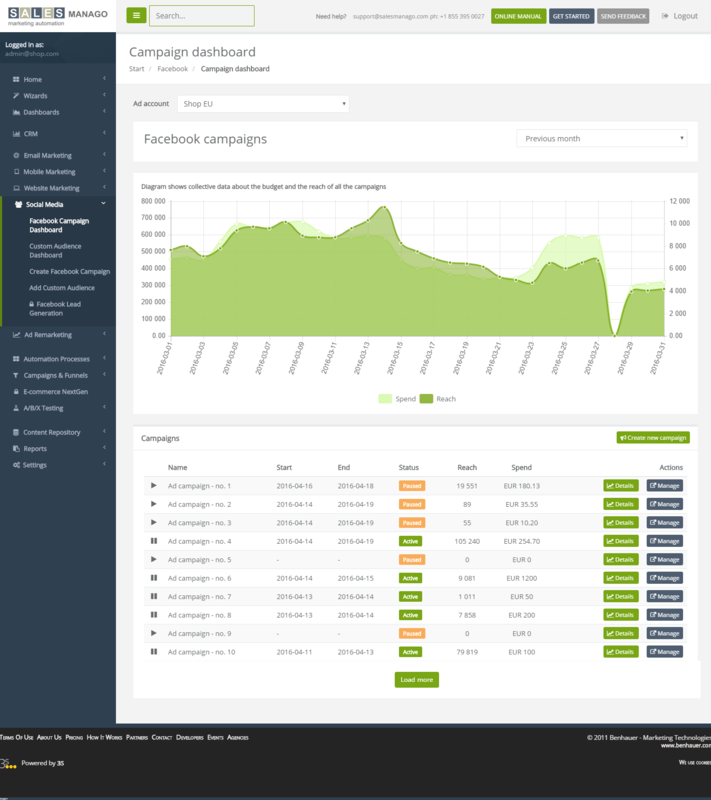 What is also important, you can edit your campaign in Facebook Ads manager with just one click, what makes real-time optimization extremely easy. 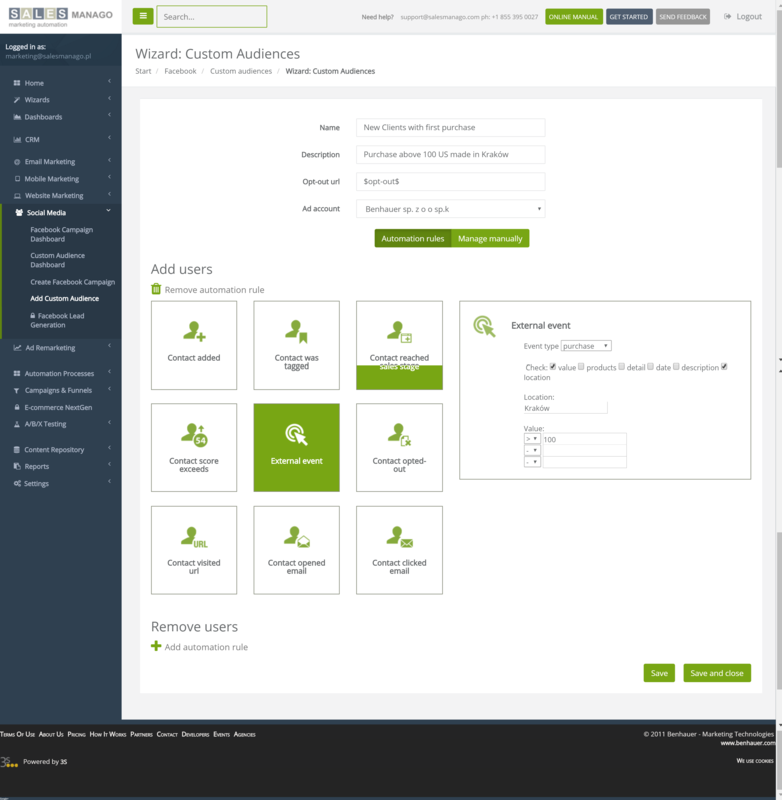 Custom Audiences Analytics also provides information about Contacts flow during the chosen period. All that analytics and intelligence will help you tailor your ads more precisely to customers and groups of customers, as well as optimize your social media marketing budget to ensure it delivers substantial results. Compiling social media and Marketing Automation in all channels, from website marketing, to email, to other ads networks and push messages can take on various forms. For starters, see the following examples for your inspiration. 5. 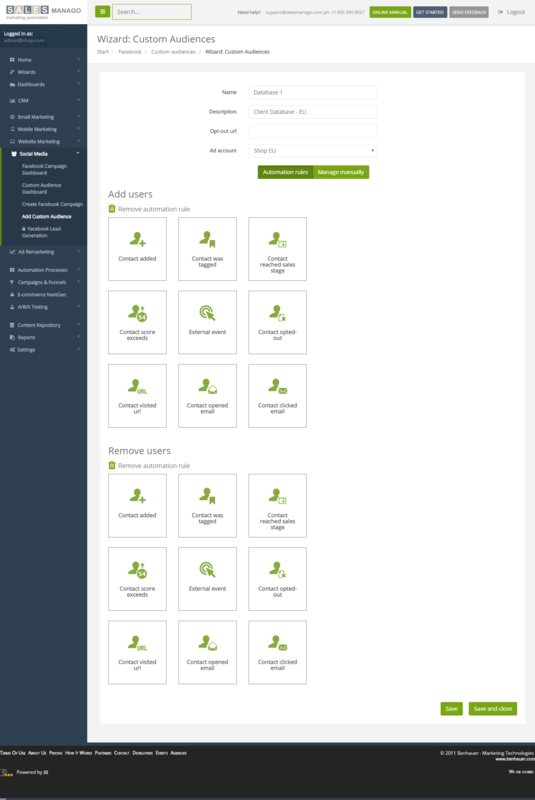 The contact is moved to another Custom Audience – one dedicated for upselling campaigns. 3. An ad is displayed in contact’s feed to encourage her to finalize the transaction. What do you get from integrating Facebook ads with your Marketing Automation Platform? without any additional fees or limits.